Powder usually contains a mixture of two or more even powdery substances that are applied as a thin layer on the affected skin area. The smaller particles of the powder are, the more their surface area is bigger and accordingly sorption capacity of the powder is likely to increase. Apart from other powder types, produced by the cosmetic companies, Natural Amber Power, containing about 40 compound types, absorbs water, fats, organic compounds, toxins, microbes and viruses from the surface and at tissues level. • Does not cause sensitizing effect and allergic reactions. Amber Powder should be applied for 2 – 3 times during 24 hours by shaking off a cotton swab on the skin surface or by sifting the powder out from a jar, covered with gauze. Pustular rash usually disappears within 1-3 days. In the event of acute skin changes caused by the inflammation, other cosmetic procedures (amber facial massage, amber peeling mask) are also possible to be applied. Different fraudulent production of crushed amber increasingly appears in the market of cosmetic products named as Amber Powder, Cosmetic Amber Powder, Amber Sand etc, representing the waste in the production of amber jewelry. Fake's producers are seeking to profit in any way; they not only violate our, as patient holder’s rights, but also endanger the people - the consumers of their products. They use waste amber containing harmful impurities (the polishing paste, the components of sandpaper, etc.). Powder fake is usually not of soft yellow color as our production, but of dull-gray color due to dirt and technical impurities. They also offer Cosmetic Amber Powder of white color, which represents amber beads production waste. Polishing of bead blanks occurs in aqueous medium, so all impurities are being washed away and the powder looks white. But together with water, amber acid and its salts are also washed away. These are no sense to speak about cleanness of production of such products and about useful energy value. Try to ask producers or sellers for patient of such products. The answer will be silence and nothing else. 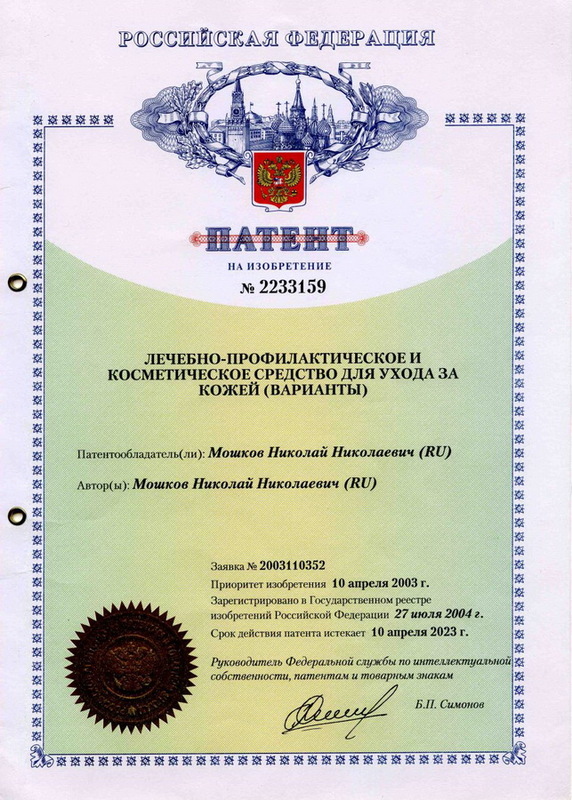 The most inveterate fakers succeeded in acquiring certificates in relation to this production by sending for the analysis our production. They have no conscience at all; they mark the jars of their production with the label “made in Kaliningrad pharmaceuticals factory”, even though the production in question has never been produced in this factory. And their technical specifications (TS) in relation to Cosmetic Amber Powder refer to amber crushing mode by using domestic coffee grinder.